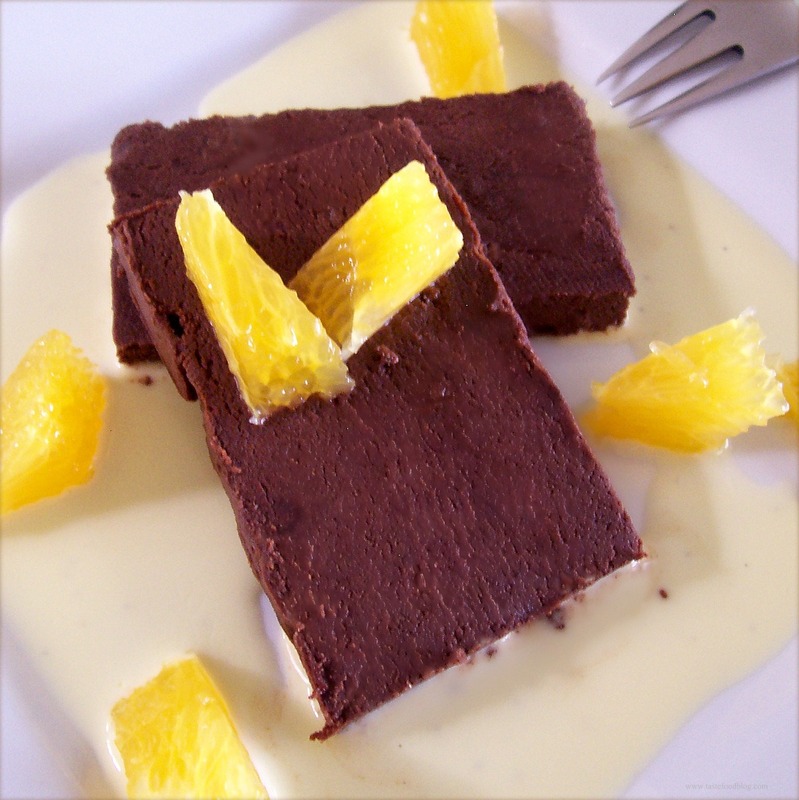 Chocolate Terrine with Orange Crème Anglaise is most worthy of the holiday table. Not only is it appropriately elegant and sinfully rich, it may be prepared up to 3 days in advance, allowing you to get on with your Christmas shopping and preparations for house guests. Also known as a Marquis au Chocolat, this popular French dessert is like eating a truffle in the form of a brick. I first made this recipe as a finale to a cheese fondue party, when I wanted a simple yet rich chocolate dessert with a French twist. I scoured my cookbooks and found inspiration in a recipe for Marquis au Chocolat by Thomas Keller in the Bouchon Cookbook. I paired the chocolate with orange which proved to be a match made in heaven. Slivers of dark chocolate nestled in a pool of cool orange-infused crème anglaise, studded with Gran Marnier macerated fruit. Not only did the orange add a bejeweled touch, its citrus notes brightened the chocolate, elevating this classic to celebratory status, befitting the holiday table. Talk about a fabulous dessert!!! Always a crowd pleaser which leaves everyone begging for more. A little goes a long way! One of my favorites! Thanks, Denise! I always think of you when I make this.